Following our latest update we announce you that Black Ink’s selling price will be raised to $59.99. However, before this price raise we are offering a special discount of $39.99 from 9th to 19th February on our website. So if you want to have Black Ink, don’t hesitate now, because you will benefit freely of all the subsequent updates. We’re very glad to announce a new major update for Black Ink! 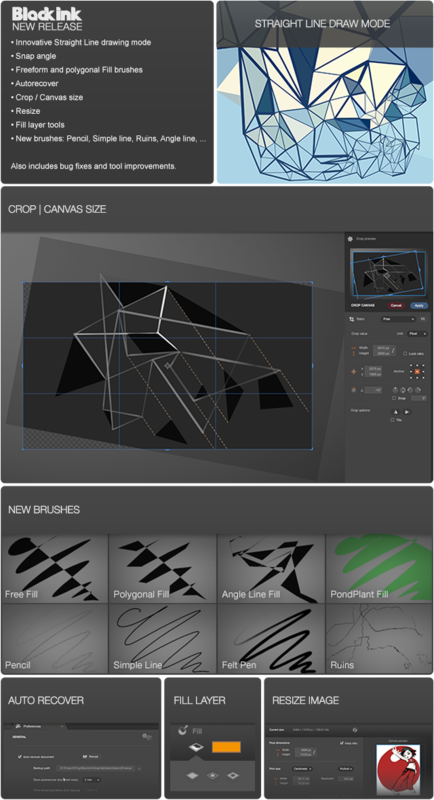 This update is very important as it offers brand new tools that will expand even more the field of brush creation. It took a lot of time and effort to integrate these new powerful tools, while ensuring the continuity of performance and comfort you have always been used to experience with previous versions of Black Ink. This is why we hope that you will like using it as much as we liked making it. We would also like to thank you for your patience, we didn’t want to release this version too early. 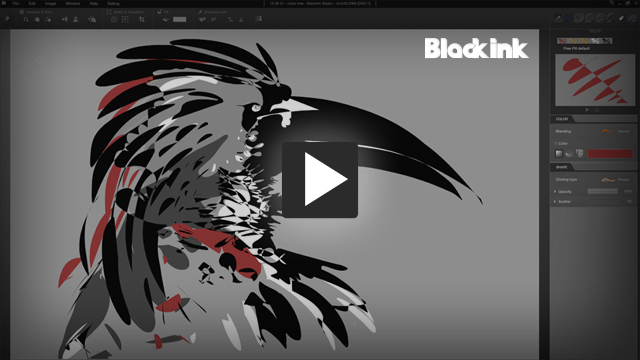 Keep in mind that we’re developing Black Ink with the intent of bringing you a complete and powerful generative art creation software/solution that will, hopefully, leave its mark in the future. Note the demo version allows you to test Black Ink for 4 hours without any limitation. In the months to come, we will integrate UI scaling so Black Ink can be used on 4K screens. 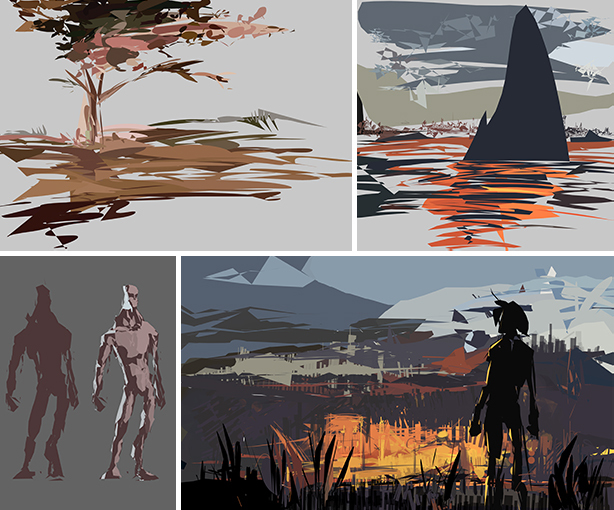 We will also add support for more layers and, of course, plenty of new brushes with even better effects. In this holiday season we’d like to keep you updated on Black Ink’s progress. We’re working on a whole new system that will make our brushes way more powerful. This new development will allow us to add texture, blur, smudge and many other effects to the brushes while maintaining Black Ink’s speed. Stay tuned for further informations! In the meantime we hope you had a great christmas and we wish you a very happy new year! 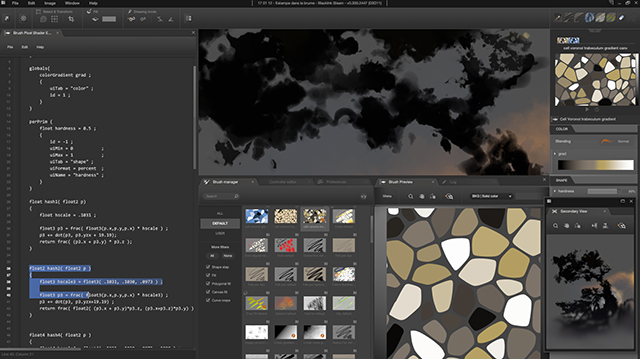 We hope you had a wonderful summer and we’re happy to present you a new version of Black Ink! We now have an autosave feature, resize and crop functions for your document, new drawing helpers with interactive straight lines and angle snap, a very useful new type of brushes and more. Please have a look at this video to discover all these new features and please let us know what you think! We hope you’ll enjoy drawing with Black Ink as much as we do and we’ll be back soon with more exciting features!